At Evostyle, we are committed to using the best sustainable timber species that is also economical and beautiful. Although we work with some Australian timbers, we have now begun to use American hardwoods extensively. Most timber species that are recommended for fine joinery, comes from the USA. This is because of their sustainable practices, as well as the large variety of species available with beautiful colours, grains and textures. The USA has more temperate hardwood species than any other region in the world. The heartwood varies from light to dark chocolate brown, occasionally with a purplish cast and darker streaks. 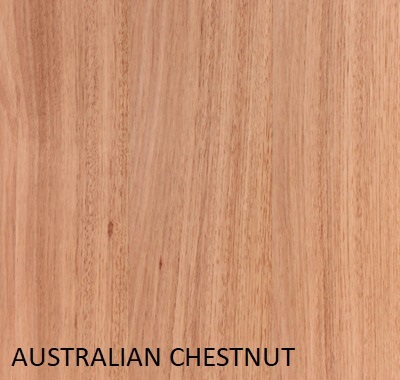 Also known as Southern Blackbutt, Chestnut. Straight-grained with a medium to fine texture. There is a marked difference between the sapwood and heartwood of tulipwood. The sapwood is creamy white whereas the heartwood can vary from pale yellow or brown and even green to purple in extreme cases. The wood darkens with time on exposure to UV light and the green colour will turn brown.